San Francisco. Tachyon. 2018. 288 pages. Unholy Land opens in Palestina, a modern Jewish state in constant conflict with the indigenous Nandi people who were displaced by the Jewish settlers who founded the nation; relations with the surrounding African nations are uneasy. Israel is unheard of, but Tidhar’s “Palestinians” find themselves in much the same situation as Israelis today, with an increasingly right-wing government, a massive wall being erected to “keep out” the Nandi and other Africans, and a slow-burning conflict that unfolds through occasional Nandi bombings and Palestina’s harsh military retaliations against Nandi civilians living in the camps of the Occupied Territories. 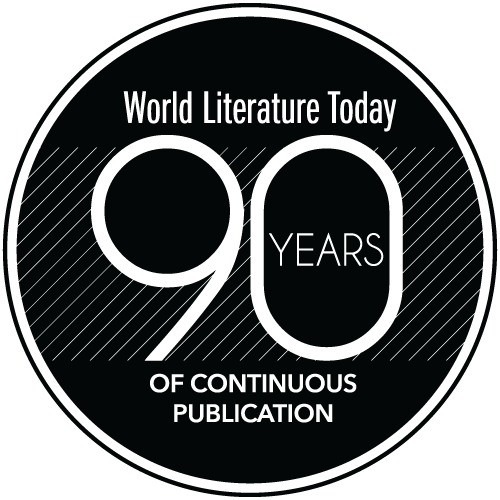 But we learn that the world in which Palestina came to be is only one of many worlds making up the realms of possibilities known to the border agency that defends the stability of the multiple realities known as the “sephirot.” This Kabbalistic term is the base technology upon which Tidhar’s speculative fantasy, about a character not unlike the author himself, a “pulp” writer named Lior Tirosh, is built. The novel follows Lior as he navigates a return to Palestina, only to discover that he is trapped between realities; pursued by border agents like Bloom, who wants him dead, and Nur, who wants to save him, and fighting against his father, a general of Palestina plotting to colonize all realities on behalf of the Jews, Lior is unable to decide if he came originally from Palestina or our Israel. He saves the sephirot, haphazardly and accidentally, but must live his life in exile in Israel—his chosen home, if not his real one. 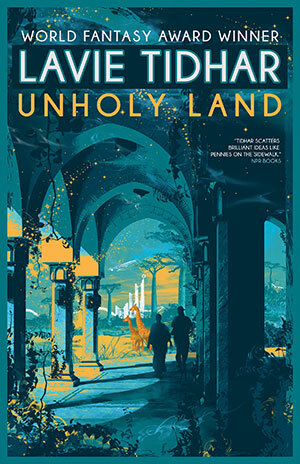 Like Tidhar’s other work, Unholy Land is a complex and metatextual narrative, moving between first-, second-, and third-person narrators, that theorizes the work speculative fiction does—the possibilities and alternatives it imagines—and questions the worth of the “fantasy” writer in a world where nation-states maintain and legitimize their existence through the oppression of whole groups of people. It is, unsurprisingly, a powerful meditation on the ethics of history and the power of borders, an analogy, no doubt, to the border walls both on the West Bank and in Trump’s presidential promises as much as to the ideologized divides that drive military and state conflict. Unholy Land is a call to imagine and fight for alternatives. Haruki Murakami. Trans. Phillip Gabriel & Ted Goossen.